Many developers are embarking on the migration journey of bringing AngularJS applications up to modern-day web development standards with Angular, and there are a lot of approaches. It can be challenging to know which upgrading path is right and where to find guidance on how to migrate, but it doesn’t have to be! We’re announcing two new tools that will help. Angular is the name for the Angular of today and tomorrow. AngularJS is the name for all 1.x versions of Angular. 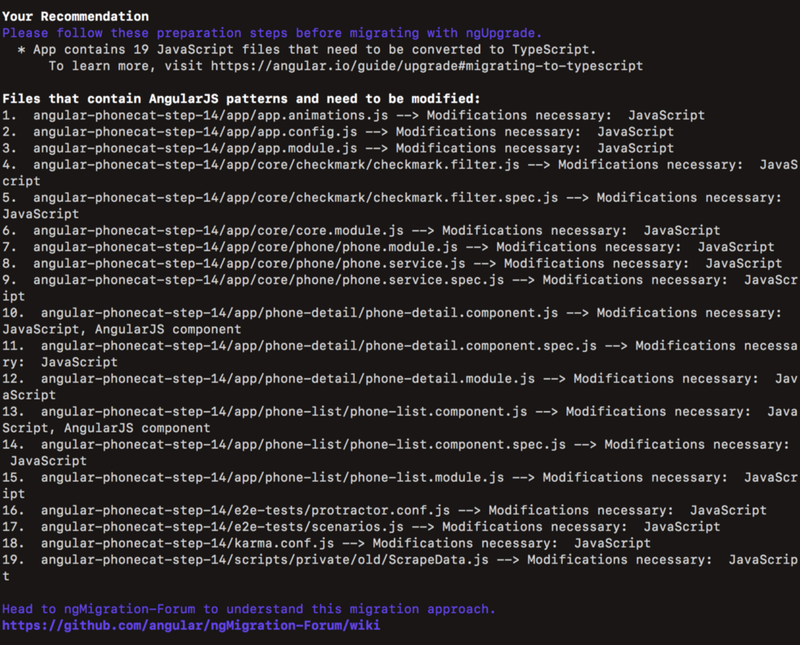 ngMigration Assistant is a command-line tool that analyzes an AngularJS application and recommends a migration path. It provides statistics on the complexity, size, and patterns of an app. It outlines the necessary preparation work for migrating to Angular. ngMigration Assistant is designed to supply simple, clear, and constructive guidance for how to migrate your application. It analyzes any AngularJS app — big or small — and makes recommendations about possible approaches that may suit your application. It doesn’t take into account every possibility, but considers some of the most important factors to consider, such as code size/complexity. Here’s an example using the AngularJS phone catalog application. With the simple command ngma with the app directory, we can see an analysis of our app and can see recommendations. First the tool provides statistics about what was detected in the application. 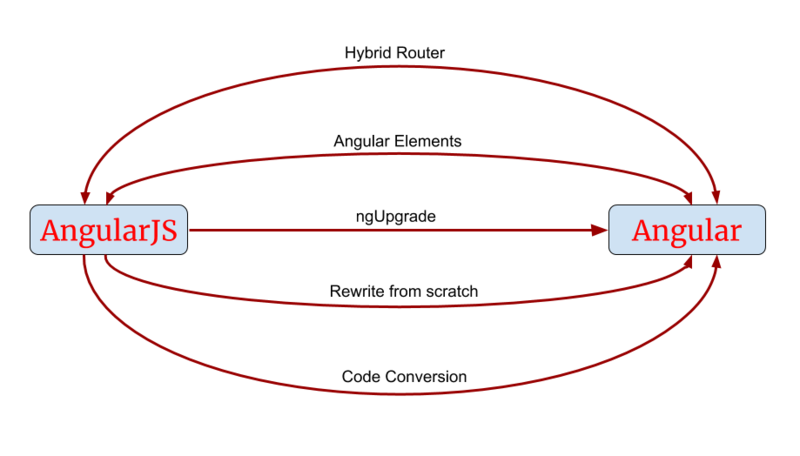 If necessary, preparation steps for migrating to Angular are shown. To learn more, visit ngMigration Assitant. The new ngMigration Forum is a community hub that provides a starting place to find information about migration paths, tools, and to consolidate some of the best information and experts from the web. ngMigration Forum is geared towards answering your migration questions, identifying useful tools, and directing you to a migration solution. It is a place to learn, discuss, and share information on migrating to Angular. In the Forum, you will find a array of useful information ranging from explanations of why upgrading is important from a technical and business perspective to an overview of the available migration paths. There are many migration paths (many of which can be combined) covered in the forum, and we hope that the community will work together to share their experiences and expertise. For each migration path, you can read more in depth and learn about how each one works, awesome tools to help, examples, helpful content, and consultants available to help you throughout the migration process. Finally, we want developers to ask and answer questions surrounding migrating all in one place through the Issues tab. Here, you can review previously asked issues and support the community through useful insights. ngMigration Forum is the place to bring all our thoughts and insights together, to share useful information and awesome tools. To learn more, visit ngMigration-Forum. 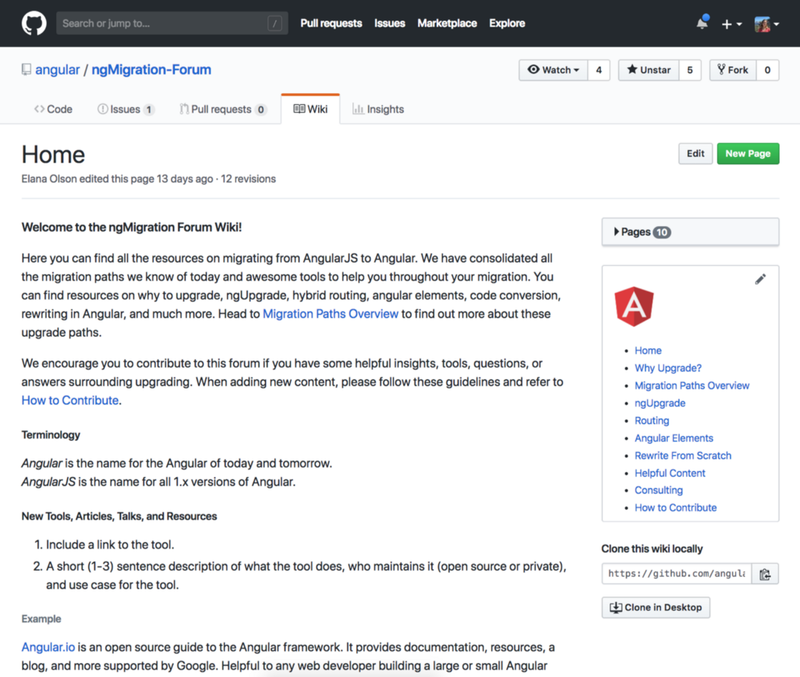 If you have an AngularJS project you are considering migrating to Angular, download the ngMigration Assistant, visit the ngMigration Forum, and share your experiences so we can continue to make this process better. Steps on how to setup a simple AngularJS app?